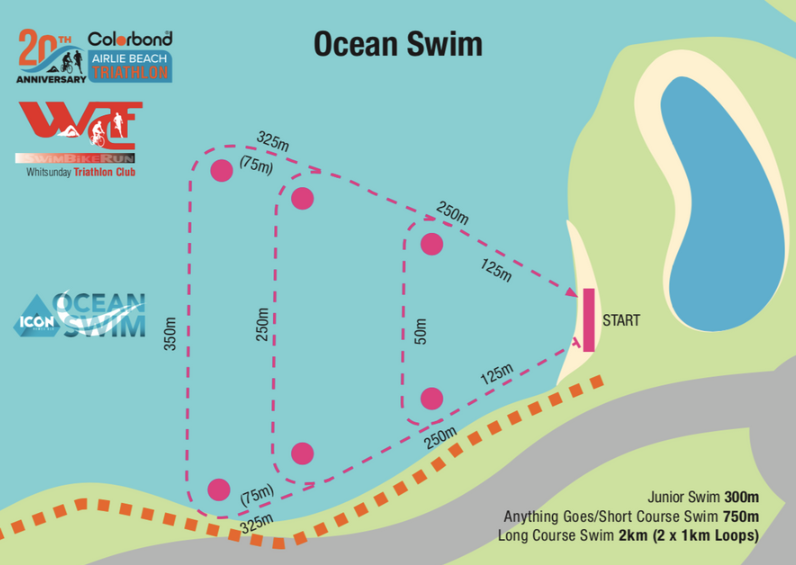 The Icon Homes Ocean Swim is a fantastic event consisting of a 2000m Long Course, 750m Anything Goes Short Course and 300m Junior Swim. A fantastic non threatening swim in the lagoon with the assistance of SLSQ, is the perfect introduction for your child into Triathlon. A fantastic flat multi lap flat course allows kids to soak up the atmosphere, and parents plenty of photo opportunities. The 3rd and final leg of the Triathlon, the boardwalk run will take the kids all the way to the finish line. 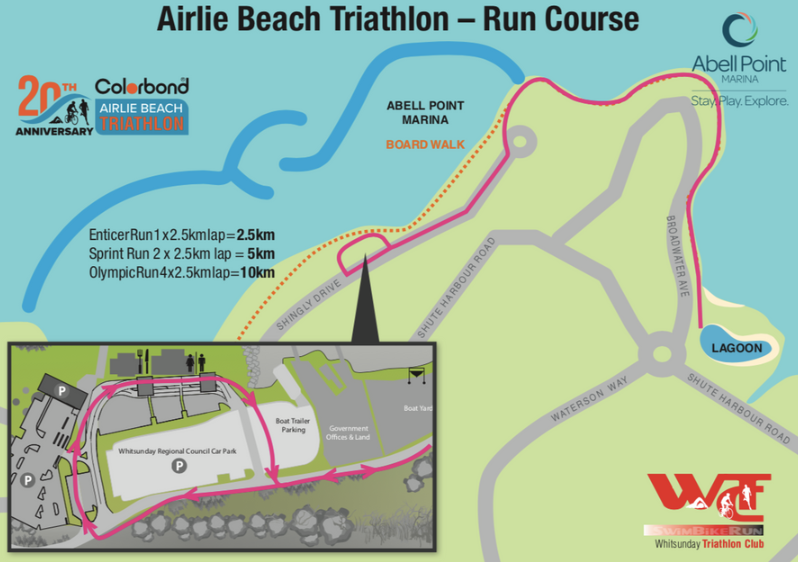 Athletes will be required to complete the triangular course travelling in a clockwise direction starting and finishing at the Airlie Beach near the lagoon. 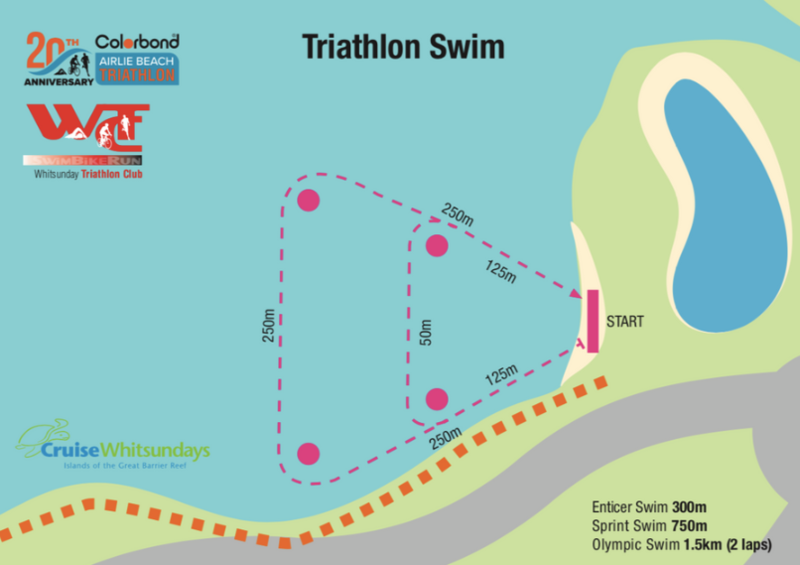 Athletes will head and around the first turn around buoy, then swimming along the backside before making another turn at the buoy to head back to the beach. Airlie Bay offers a stunning tropical and balmy swim. 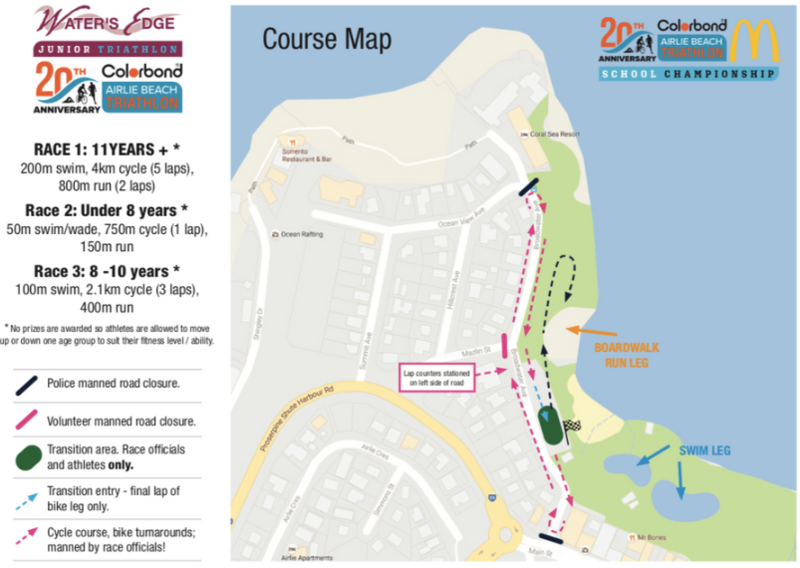 Athletes leave T1 and head through the Airlie Beach roundabout and onto Shute Harbour Road with an incline as they leave Airlie Beach. Athletes will exit T2 and head out along the boardwalk past the Coral Sea Resort taking in the endless views of the Whitsunday Coast. Athletes continue towards the newly redeveloped Abel Point Marina Precinct, here athletes get to enjoy running through the vibrant ‘hub’ of the newly developed Abel Point Marina with many restuarants and cafes. The energy and support of all the spectators in the area should help to carry you through to the finish line. 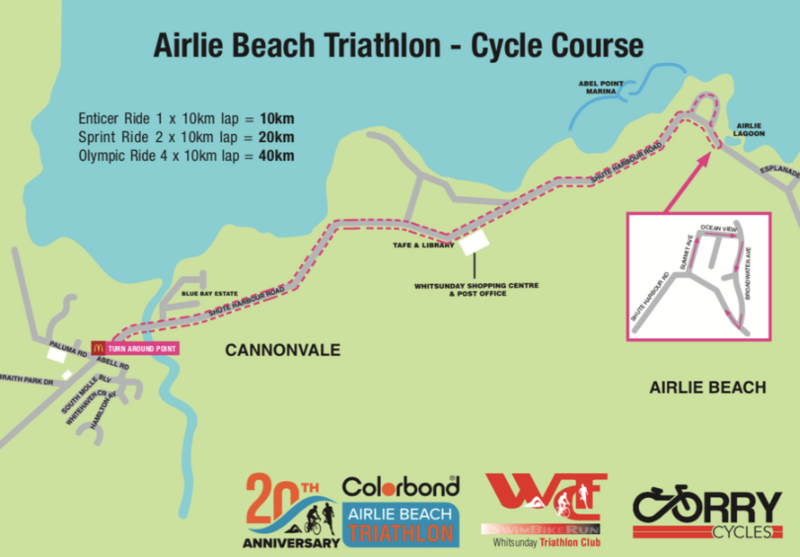 How was Airlie Beach Triathlon Festival?